Watching one of our horses cross the finishing line in first place never ceases to be something incredible and truly special. Our team works so hard with each horse, and it’s wonderful to see their efforts rewarded with a win. So far, 2015 has been an impressive year. We’ve outlined some of the most memorable wins for the team at Mark Bradstock Racing. We hope you’ll join by celebrating with us. Step Back gave us all a day to remember on the last day of the 2017 – 2018 season when he was the runaway victor of the Bet 365 Gold Cup (previously known as the Whitbread) to add another Big Win to our incredible tally of wins in the most prestigious jump races. 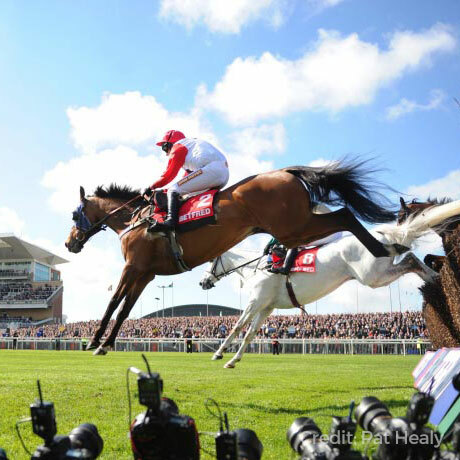 He is not related to Coneygree or Carruthers but his jumping and stamina are of a similar standard and jumping the railway fences for the second time, he had already taken control of the race, with only Rock of Kasbah looking a likely danger. However, knowing every inch of the way he thinks and goes I was quietly confident and he certainly made us all very proud as he strode away up the hill in impressive style. 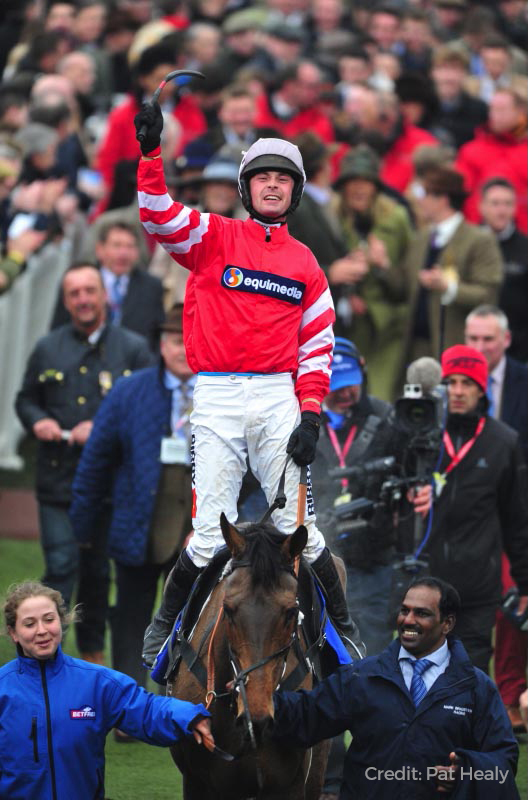 Winning the Cheltenham Gold Cup is surely the pinnacle of any trainer’s career, but this victory was even more notable as Coneygree had only run once in the 2013/14 season following injury. We run a small but efficient operation, and although we’d been told that the odds were stacked against him, we were confident in his abilities and sure enough, Nico de Boinville guided him to a foot-perfect victory to show the world just what he is capable of. The Hennessy Gold Cup was a memorable win for Mark Bradstock and his team, not to mention the band of owners who were thrilled to see Carruthers win such a prestigious race. Bred by Sara’s late father Lord Oaksey, Carruthers has always been a firm favourite on the yard. Despite a far from ideal start, which saw the diminutive gelding bite his tongue while being saddled and struggle to keep up with the pace, his jockey Matty Bachelor, applied some quick thinking and gave Carruthers the space to switch up a gear and gallop to victory. 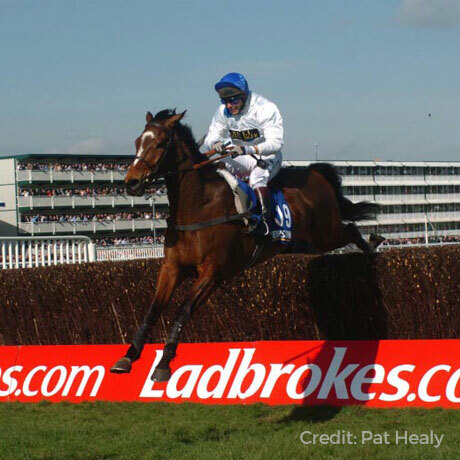 King Harald won over £106,000 during his career and won six races including the Cheltenham Jewsons Novice Handicap Chase in 2005. He was in the form of his life so we went with high hopes for a festival win. 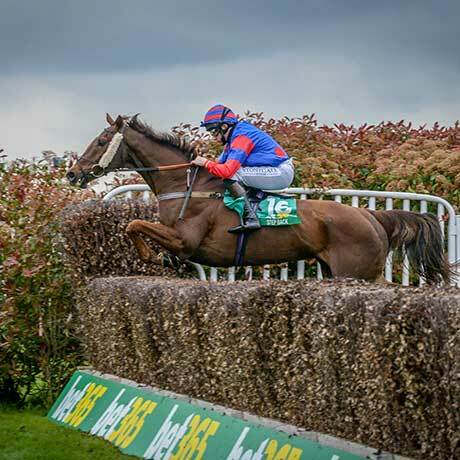 He did us proud and produced a flawless round of jumping, there was just one incident which left our hearts in our mouths at the last fence, but under the expertise of jockey Matty Bachelor, King Harald went onto produce one of his most notable victories. Mark and Sara ensure every owner feels welcome, regardless of whether they have sole ownership of a horse in training, or are part of a syndicate or share. To them, seeing their family of owners join in with their success is something to cherish. Find out how you can get involved and be part of a longstanding heritage that produces National Hunt winners.